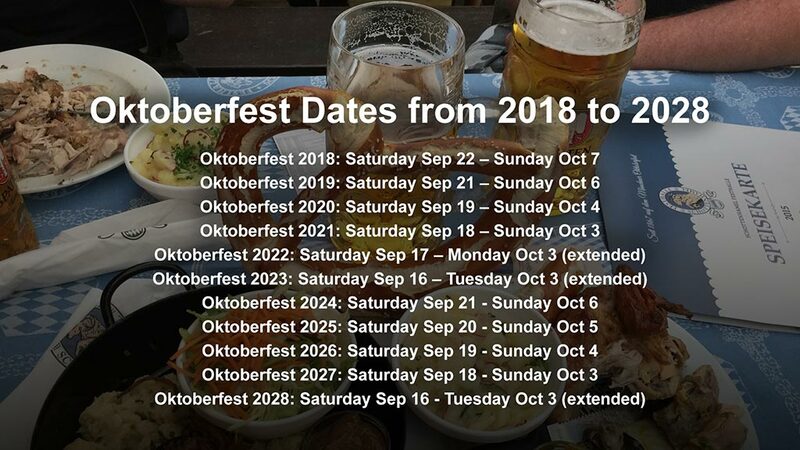 Oktoberfest Dates 2019 & 2020. 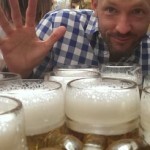 When is Oktoberfest in Munich Germany? Oktoberfest Dates 2019 & 2020. 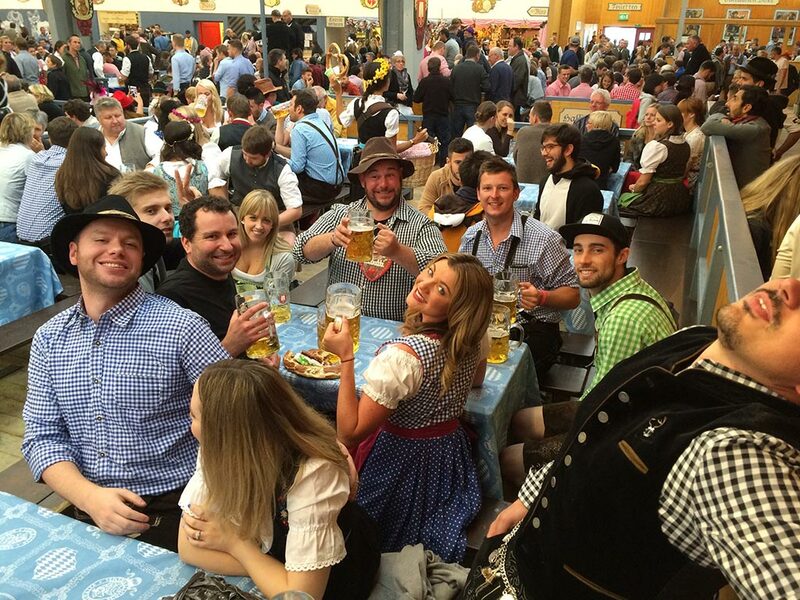 When is Oktoberfest in Munich Germany? 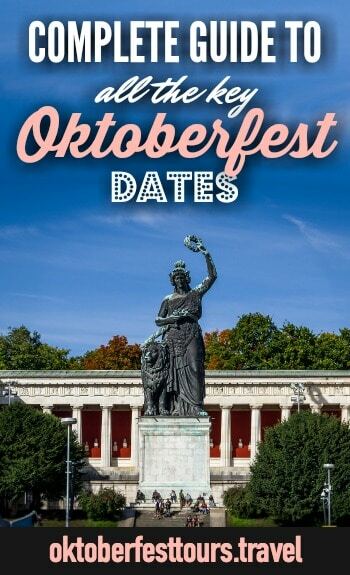 Are you considering a trip to Munich, Germany and need to know the Oktoberfest dates? [This is where you say, “Hell yeah!”] Then you’ve come to the right place. So exactly when is Oktoberfest? 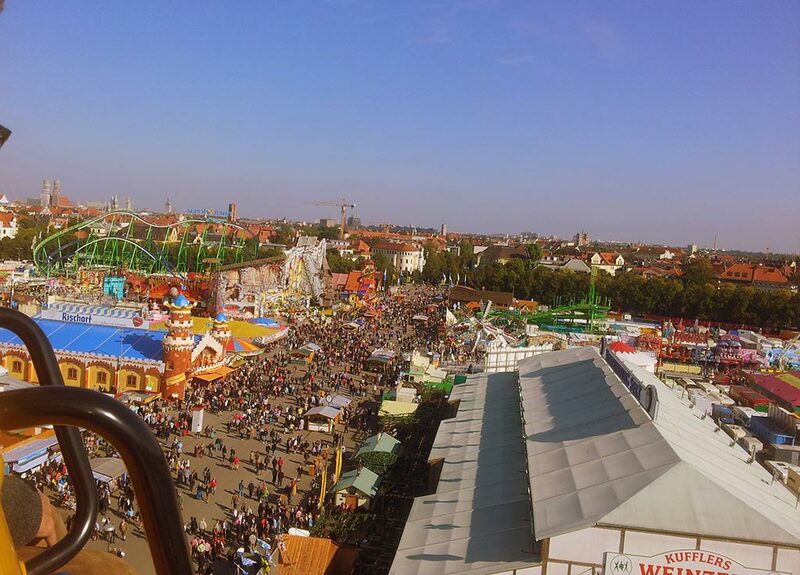 Oktoberfest in Munich runs for 3 weekends in (surprise!) September but always end on the first Sunday of October, unless that Sunday falls before October 3rd (German Unity Day) in which case the festival is extended to include that. What is German Unity Day? German Unity Day is celebrated annually on October 3rd and commemorates the anniversary of East and West Germany’s reunification in 1990. It’s celebrated as the national day of Germany and the holiday that gives us another day or two of Oktoberfest. Do you prefer extremely busy weekends or more manageable weekdays? Will you be drinking a daybreak dunkel, being the first to the party who’s guaranteed a seat? Or slamming back a late-night lager, jamming until the wee hours with 10,000 of your closest friends? Are you hoping to catch one of the signature Oktoberfest dates or is any ol’ day at the world’s largest beer festival alright by you? Do you have Oktoberfest beer tent reservations or are you going to be winging it? There are a number of annual events you’re sure to love that just may determine the Oktoberfest dates you choose for yourself/your group. OPENING DAY | Oktoberfest opening day is always on a Saturday in mid(ish) September. At noon on this day, the Lord Mayor of Munich taps the first Oktoberfest keg and shouts, “O’zapft is!” It’s not until this is completed that Oktoberfest, and your most fun vacation ever, can officially begin. This day also includes the grand opening day parade of tent owners, the Münchner Kindl, horse-drawn beer carriages, and, surely, you running after them with an empty stein and a thirsty look in your eye. GAY SUNDAY | The first Sunday of Oktoberfest (ergo, the second day as you’ve just learned) is known as Gay Sunday with some pretty damn fabulous events taking place in the Bräurosl tent every year. TUESDAY FAMILY DAYS | If bringing your kids along to the world’s largest beer festival is something you’re into, each Tuesday during Oktoberfest is known as “Family Day”. On these two days, rides and performances are discounted but I’m pretty sure paying a babysitter is still full price. THE 2ND WEEKEND | The whole second weekend of Oktoberfest is known as Italian Weekend and these two days are the Oktoberfest dates favored by Italian visitors. So… if you’re a resident of Italy, you’re choice of Oktoberfest dates has just been made for you. CLOSING DAY | Also known as: the Saddest Day of Oktoberfest or the Wurst Day of Oktoberfest, if you will. As sad an occasion as this is, closing day at Oktoberfest is still one of the most sought after Oktoberfest dates to attend. At the end of the night in the Hacker-Pschorr tent are the unofficial (but pretty much official) closing ceremonies. Candlelight, a sing-along 10,000-strong, and probably a tear or two being shed. No matter which day you go, the festival is always fun! The “Käfer Wiesn-Schänke” and the “Weinzelt” are open until 1:00am. Last call is at 12:15am. Plan ahead for Oktoberfest, especially for opening and closing weekend. October 12th, 1810 | The first Oktoberfest! The probably much calmer wedding celebrations of Bavarian Crown Prince Ludwig and Princess Therese were so much fun they repeated them the next year. Then the next. And here we are, over 200 years later, working out which blouses best accent our bosoms. How times have changed. Oktoberfest 1818 | Rides are born! The first carousel and two swings were set up on the Oktoberfest grounds. Swings, you guys! Were these folks ready to partay or what!? Sometime in 1896 | None other than Albert Einstein, the world renowned genius himself, worked at Oktoberfest as a lighting technician in the early days of electricity. Perhaps it was his inexperience with electrical sockets that earned him that iconic ‘do. A few Oktoberfest dates between 1813 – 1948 | Oktoberfest was cancelled! Find out why here. Oktoberfest 1950 | The traditional opening ceremony was introduced with the first Oktoberfest keg being tapped by Mayor Thomas Wimmer. Oktoberfest 2010 | Oktoberfest celebrates its 200th anniversary. Did you ever think we’d make it this far. I mean, is your wedding reception still going on? Methinks not. 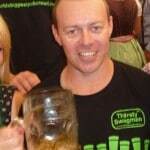 Oktoberfest 2013 | World record time! At Oktoberfest 2013, 6.4 million visitors consumed a whopping 7.7 million litres of beer—a record that still stands to this day. 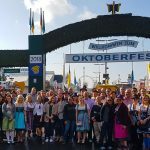 Your first Oktoberfest | There’s no doubt about it—the first time you experience Oktoberfest will be a key moment in your life. It’ll be an experience you’ll never forget and the one whose awesomeness you’ll base all other life experiences on. Go on, get yourself to this amazing festival right now. There’s more uber-fascinating Oktoberfest trivia you need to know here. Read it before you go so you know where all that came from!